Kyle Gray's remarkable intuitive gifts have made him one of the UK's most sought-after experts in his field. 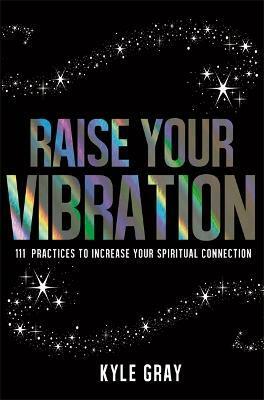 Now, following huge demand from his readers, Kyle unveils the 111 essential practices that he's been using for over 10 years to develop his spiritual skills. - manifesting and creating a life you love and deserve... and much more! Get ready to shift your energy, access a higher frequency and start receiving more joy, love and miracles in your life! The hottest name in spirituality! Kyle Gray is one of the UK's youngest, most sought-after angel experts. He discovered his spiritual connection at the tender age of four, when he communed with his deceased grandmother. Since then, he has been blessed with a strong connection to the angels, who have guided him as he developed his intuitive gifts. After years of hiding his abilities, Kyle was called to share the angels' incredible messages with the world. Now, Kyle dedicates his life to helping other people crack open to the angels through his workshops, talks and coaching. He is the author of five books, including Angel Prayers, Wings of Forgiveness and Angels Whisper in My Ear.